We can't deny that Metro Manila is full to bursting. Numbers from the census of 2015 have us at 20,785 people per square kilometer, making us one of the most densely populated cities in the world. That’s why the prospect of New Clark City, a development project and future metropolis in the Clark Special Economic Zone, is something to look forward to. The project, which hopes to decongest Metro Manila, was greenlit in 2014 and broke ground in April 2016. But just last week, the Bases Conversion and Development Authority (which previously led the transformation of BGC, and is now in charge of New Clark City, with help from Japan) confirmed a partnership with Singaporean firm Surbana Jurong to help design the project. Specifically, Surbana Jurong will refine NCC’s urban and infrastructure design, review agreements for providing water and power, and develop a framework for its long-term operation. The Singaporean firm is one of Asia’s largest urban, industrial, and infrastructure consulting firms, with offices in over 40 countries and projects all around the world. Surbana Jurong has handled notable developments in Singapore (Changi Airport Terminal 4, Bugis+, Marina Bay Reclamation), and has done urban master-planning for towns in Africa. 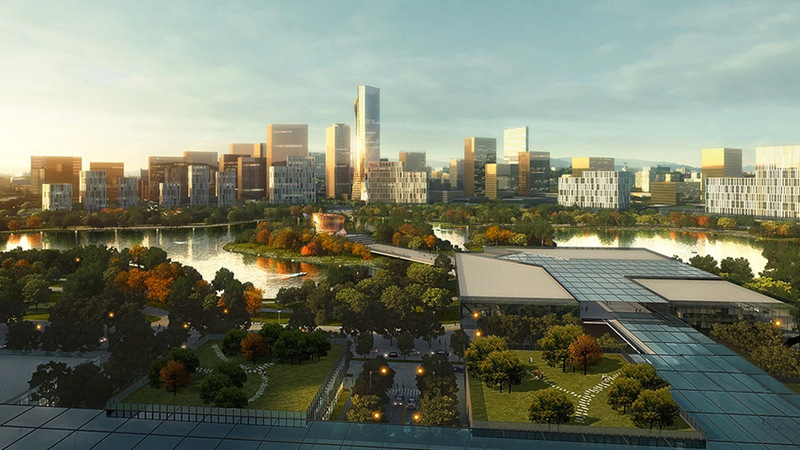 Its flagship project, however, is a 7000-hectare industrial park in Suzhou, China. New Clark City, formerly known as Clark Green City, is envisioned as an “environmentally sustainable, socially inclusive, economically competitive, culturally relevant, and technologically integrated” city. It covers over 9000 hectares, and is projected to contribute P1.57 trillion pesos annually to the national economy when complete. In an interview with CNN Philippines, BCDA president Vince Dizon estimated that some structures in New Clark City will be ready to host the SEA Games in 2019, and that the first phase of the entire city will be complete by 2022. For more information, visit the New Clark City Facebook page.